A clear and logical sales proposal template that would be the key for the success of your business. 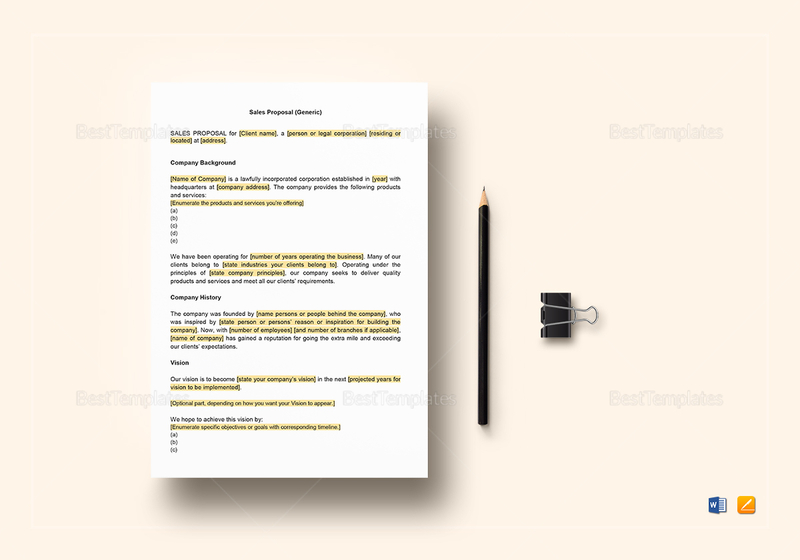 This 4 page document is available in A4 and US Letter sizes. Easy to edit, just replace the highlighted text with the necessary details. 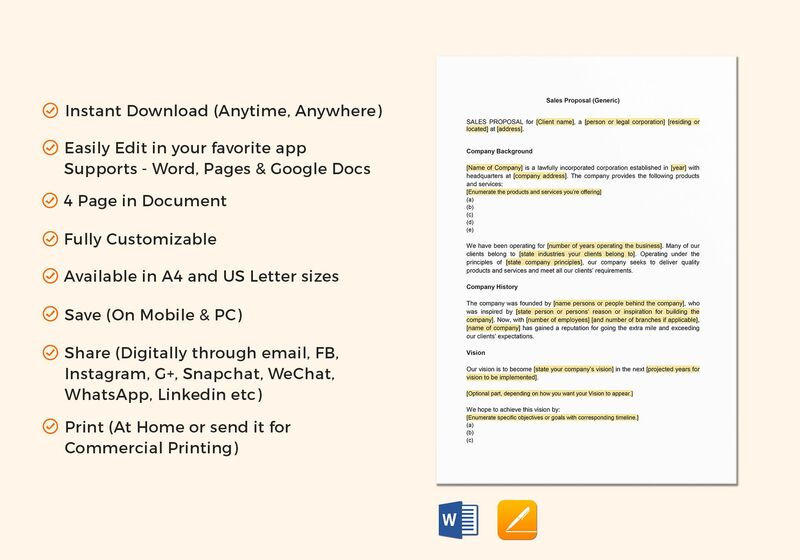 Customize this document with MS Word and Apple Pages.